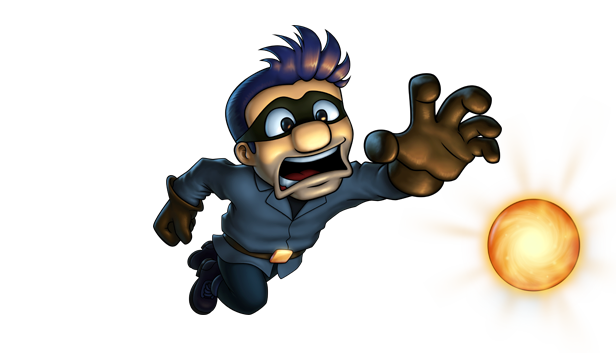 For all intents and purposes, Robbie Swifthand is like any other platformer. You can jump left or right, grab the ledge, solve a puzzle on each level by maneuvering past devious traps, and win boss fights to proceed. And yet despite its relatively familiar mechanics, this made-with-Unity game was the most-played at every event Pixel Reign showcased it in during 2018. Read this story to learn why. Often with platformers, you die once. You die twice. Maybe you die three times, but then you move on. 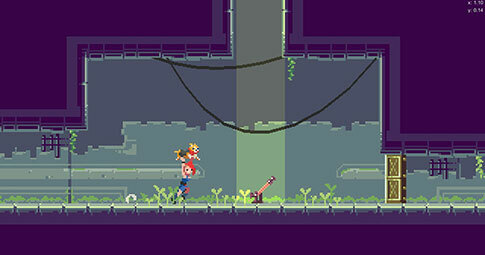 With the help of Unity’s 2D tools, Pixel Reign have created a game that players love to play, love to die in, and love to start all over again. The secret sauce is in the unique detail in everything from level design, boss fights and cutscenes right down to character expressions and sound effects. When Pixel Reign showcased Robbie Swifthand to attendees at games.com 2018, their booth had a long line of eager players who ended up making Robbie Swifthand die over 5000 wonderful deaths. The Pixel Reign team at gamescom expo where Robbie Swifthand was a hit. 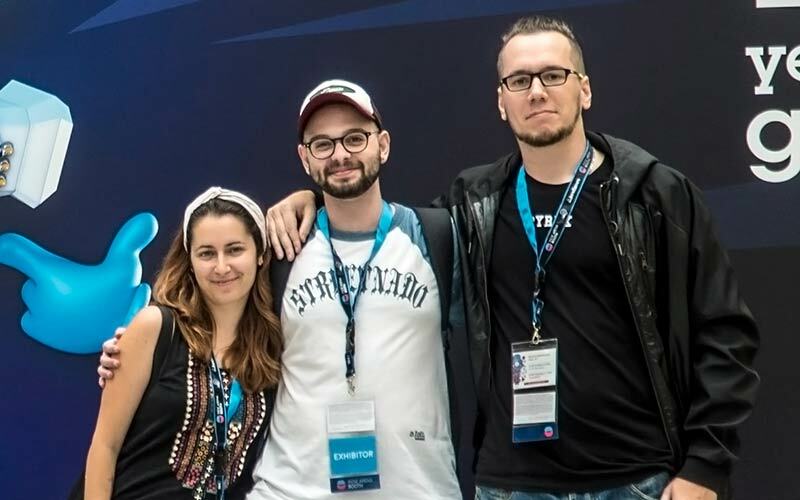 When game programmer, designer and animator, Nick Larin and music composer and sound designer, Vicky Fysika, met Angelos Gkamiliaris at a game jam in 2013, they knew right away they had found the missing piece for their indie dream team. 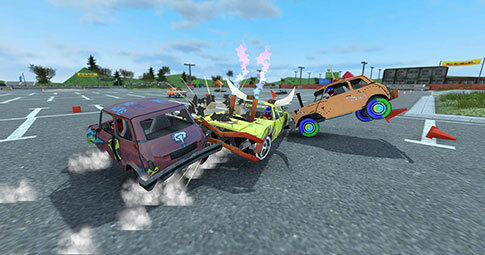 Unity gave the three-person team an efficient way to work together creating intricate details and variation that makes players love the game. They found the Unity Animation System a particularly useful tool for making the story engaging with animation within the gameplay and cutscenes in between levels. “You can use your own customized events. Any function you write can actually be called from the animation itself, and it makes it a thousand times more useful. Plus, it’s a great tool for working with non-programmers because it’s graphical,” Larin says. The combination of the flexibility and ease of use has meant that Pixel Reign could create a complete and engaging experience for players in just a few months. Every time Robbie dies, he interacts with the environment in a new way showing different facial expressions. He might look around and get annoyed, angry or tired. All these kind of things make him feel alive, and make players want to continue. “A lot of game creators think they have to create something completely new and unique to stand out, but people still love platformers, and you can stand out by making a great example of the genre using the old proven formula, but at the same time, giving more attention to detail,” Larin says. 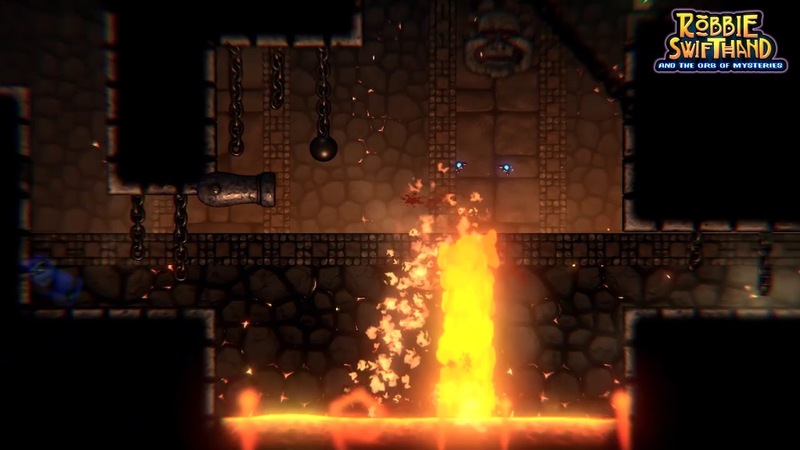 See examples of the detail Pixel Reign was able to give game deaths using Unity. Before joining Pixel Reign, level designer, Angelos Gkamiliaris, had had a difficult experience creating a game using a different game engine and various artist tools. However, if Angelos describes that experience as a nightmare, the switch to Unity back in 2013 was more like a breath of fresh air. The ease with which Pixel Reign could adapt Unity to match their workflow has also made Angelos’ work easier. For example, programmer, Larin, wrote one script that created depth of field to help his level designer create foreground and background objects and another one, so Angelos could easily sort the order. 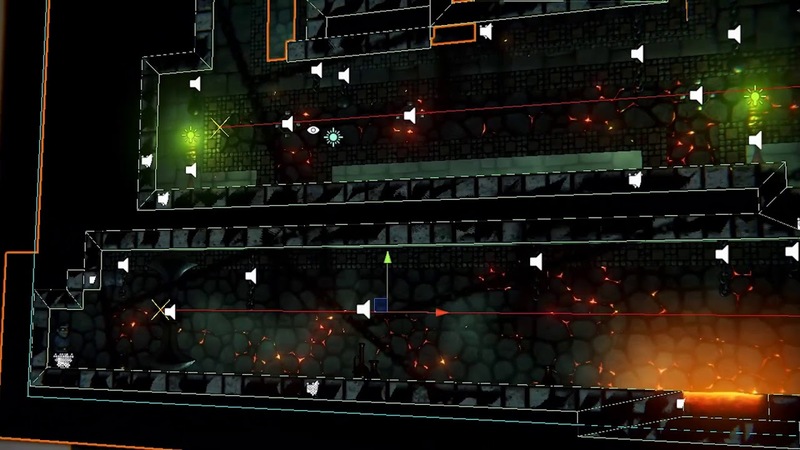 According to Gkmakiliaris, the big boost that Unity gave them was the ability to make the levels psychology-based without a lot of analysis. 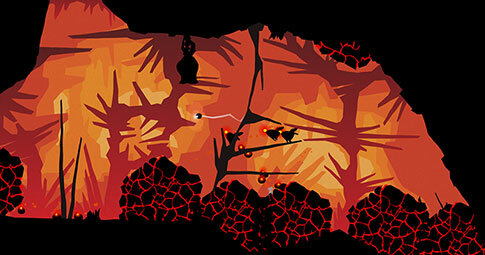 The result was 93 levels, 15 cutscenes and 3 difficulty modes, including unique boss fights for each level. See examples of different levels in Unity. In the same way that the variety in the animations make the game compelling for players, randomized death, trap and environmental sound effects make the interaction feel more natural and less predictable, too. “When you hear the same thing over and over again, your brain picks it up on it, and you lose interest. On the other hand, when you add a bit of variety and some randomization, players begin to realize that there will always be something new to experience, and the game is drastically improved,” Larin says. Similar to how Unity made the level-design workflow smooth, Unity sound features also made it easy for Pixel Reign’s audio designer, Vicky Fysika, to work independently and efficiently. She could tweak and adjust sounds at runtime without the help of programmer, Larin, and the workflow was smooth. Listen to how varied audio adds an extra dimension to Robbie’s deaths. The ease with which the team could all work together to create animations, level design and audio in Unity has enabled Pixel Reign to create a complete and engaging experience. 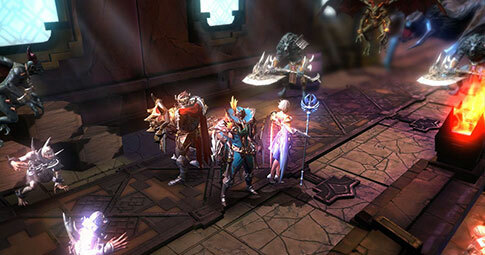 The game was showcased at Unite Berlin in 2018, which helped convince private investors in Greece to fund them, and Pixel Reign was off and running. 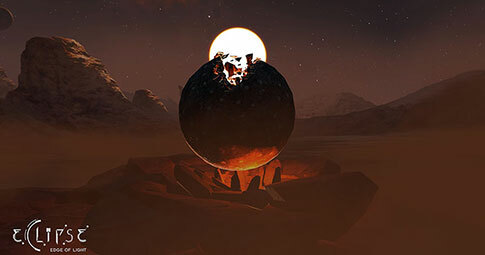 “Imagine a team of three with one programmer — who also does graphics — one level designer, and one audio engineer creating a game like this in such a short time; it would have been impossible without Unity. Unity probably saved us months of work, and the end result would have been completely different because, with Unity, we didn’t have to compromise on quality or the level of detail,” Larin says. Follow this practical guide with information and resources that will get you on your way, save you time, and help you gain the most value when developing mobile games using Unity. Learn how two part-time developers collaborating remotely in their spare time created an awesome 2D game, which was featured in the Made with Unity showcase. Learn how Unity helped a 3-man indie studio create a hit multiplayer mobile game with over 15 million downloads. Learn how Unity helped Gamevil achieve the level of quality associated with a Massively Multiplayer Online PC game in their Royal Blood mobile title. Learn how Unity helped an indie developer create a prototype within three months, which enabled funding for a Google Daydream game. Unity enabled self-taught programmer, Mauro Fanelli and his artist collaborator, Andrea Gellato, create this premium game with beautifully hand-drawn vector graphics. Find out how.